[German]Some users of Microsoft Windows 10 are receiving an error 0x80080204 during downloading apps from Microsoft Store. Here are a few background information and an explanation for a case in Windows Fall Creators Update. Trying to download an app from Microsoft Store ends in some cases with error code 0x80080204. Then the app can’t be installed. Searching the web for error code 0x80080204 results in many hits for distinct Windows (10) versions (here, here, here etc.). Here the Audible app is causing this issue. Some hits mentions Windows 10 Mobile, others are referencing to Windows 10 for PCs. And I found also hits from 2012, referencing to Windows 8. What does error code 0x80080204 means? 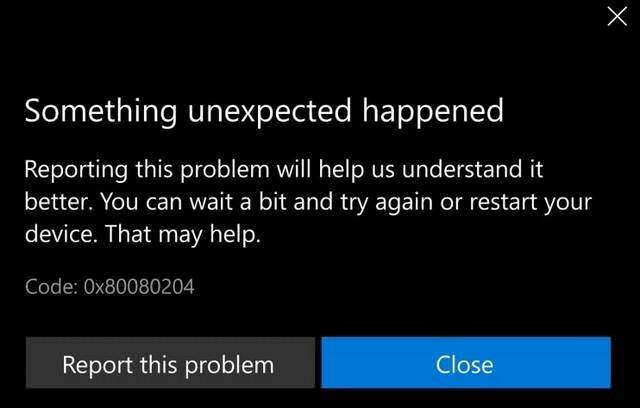 Somewhere I read, that some user has identified the reason for the error code in a bad SD card in his Lumia under Windows 10 Mobile. However, since most users don’t use a SD card on the desktop systems to store apps, it could be not the general root cause. Therefore it would be helpful to have a more details, what the error code 0x80080204 stands for. Searching my error code lists did not result in an explation – the error code wasn’t found in the usual error lists. You have to go into the files with the error definitions of the Windows SDK to find hints if necessary. 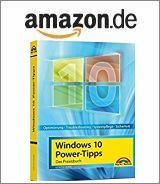 I still didn’t install an SDK on my computer – but when searching the internet I found this forum post on Windows 8 from 2012, where André Ziegler (who also posts within my German blog) mentioned the details. The manifest used within the appx package is damaged. André linked to this MSDN article explaining some details of an app. The solution can be (in some cases) to uninstall and reinstall the app from Microsoft Store. I’ve addressed the manifest issue recently within my blog post Windows 10 V1709: Store broken (wrong manifest layout). After release of Windows 10 Fall Creators Update it seems that some apps are affected by this error. For Windows 10 Mobile V1709 there is a thread in Dropbox forum, where a user mentions this issue. This entry was posted in issue, Windows and tagged error 0x80080204, Store, Windows 10. Bookmark the permalink.